A new contract agreement between Mayor Bill de Blasio and the New York Police Department’s union, will require 20,000 officers to wear body cameras under the country’s largest body camera program. 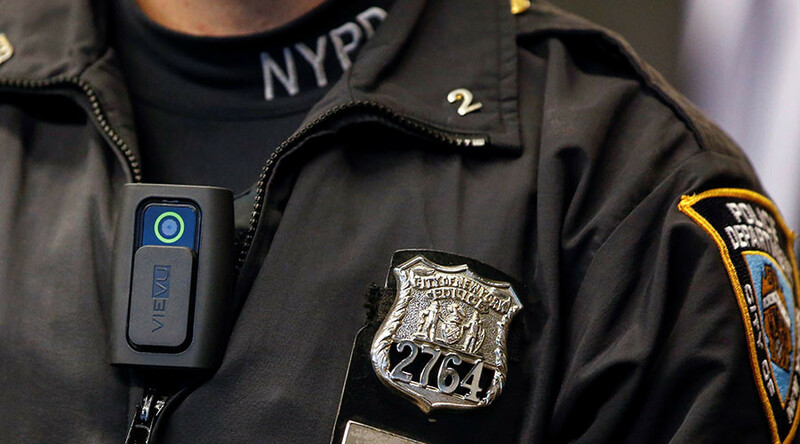 While the agreement still has to be ratified by NYPD's nearly 24,000 police union members, it envisages that all officers below the rank of sergeant will wear body cameras by the end of 2019. A draft policy is already in place for when an officer would be required to activate his or her camera. Safariland VieVu has been chosen as the supplier for the initial roll-out of 5,000 devices. The body camera policy stems from compliance with a 2013 federal court order which found the NYPD had violated the constitutional rights by discriminating against black and brown city residents through its excessive over-policing under its "stop, question and frisk" program. The court ordered a pilot program for body cameras to be worn in five precincts; it took three years for the program to get off the ground. About 1,000 patrol officers are already wearing cameras in 20 different precincts as part of the pilot scheme. "Rather than a long contention fight over these issues, we found common ground," de Blasio said, according to Patch.com. "Being able to affirm that we were all on the same page about the rapid expansion of the use of body cameras...that was big substantive progress for this city." The Patrolmen's Benevolent Association, headed by Patrick Lynch, has agreed to drop the lawsuit seeking to stop the use of body cameras. The union had argued that they were a hindrance and that officers should be paid more to endure body-cam training and the stress of being recorded. The union had also sued on behalf of its members over the use of naloxone, an emergency drug used by first responders to revive those who have overdosed on opioids. Under the deal, both will be part of police duties and a condition of employment. The police union has been without a negotiated contract since 2010. Only through arbitration with the Bloomberg administration were police able to negotiate a 1 percent retroactive wage increase between 2010 and 2012, according to the Huffington Post. The new deal of an almost 12 percent pay increase is retroactive to August 2012 and lasts through July 2017. Police departments around the country, from Chicago and Baltimore to Washington, DC, have increasingly turned to body cameras amid a nationwide focus on the disproportionate lethal force used against black Americans by officers, although some reform advocates have raised concerns about the impact of body-worn cameras on citizens' privacy. While bodycam footage can be helpful in obtaining indictments and as evidence in court, it is often difficult to secure its release to the public.